SEOUL, South Korea (AP) — A former North Korean diplomat says leader Kim Jong Un has no intention of giving up his nuclear weapons and sees his upcoming second summit with U.S. President Donald Trump as a chance to cement his country’s status as a nuclear weapons state. 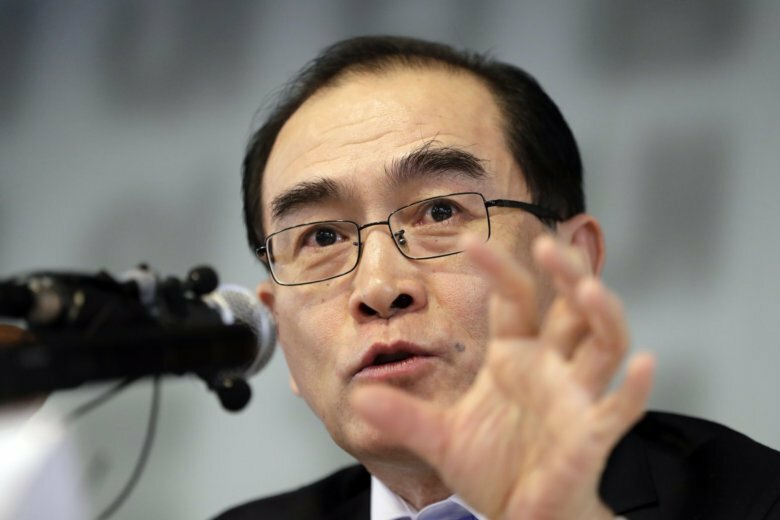 Thae Yong Ho, who defected to South Korea in 2016, said in a news conference in Seoul on Tuesday that next week’s meeting in Vietnam will be a failure if Trump can’t get Kim to declare he will abandon all of his nuclear facilities and weapons and return North Korea to the nuclear non-proliferation agreement. Thae worked as a minster at the North Korean Embassy in London before fleeing to South Korea. He is the highest-level North Korean diplomat to defect to the South.